Carl Gustav Magnusson has a design mind. Swedish born and educated in architecture, he worked at the Office of Ray and Charles Eames in Venice, CA, before opening his namesake design studio in Rudolf Schindler’s House in North Hollywood. 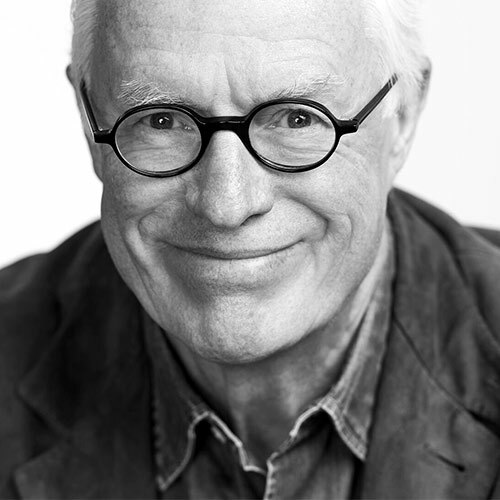 With Knoll, he worked as executive vice president, director of design in Europe and North America for three decades, responsible first for graphic communication with Massimo and Lella Vignelli, and ultimately, as head of product design, commissioning designers such as Ferdinand Porsche, Gae Aulenti, Richard Sapper, Mia Linn, Ross Lovegrove and Frank Gehry. He established the Knoll Design Symposium at The Cranbrook Academy of the Arts in Bloomfield Hills, MI, and co-founded The Knoll Museum in East Greenville, PA, which houses the most comprehensive display of archival collector items by any one furniture manufacturer. Carl’s New York-based firm, CGM Design, serves leading furniture, lighting and automotive manufacturers in product development and design strategy, designing a wide range of products for Knoll, Teknion, idesk, Momentum and MoMA (co-designed with architect, Emanuela Frattini), and has won 30 design awards in the past decade, including Contract Magazine’s 2012 Legend Award for Lifetime Achievement. A frequent lecturer on design matters for clients such as BMW, Knoll, Waterworks, Maharam, Teknion and universities such as Yale and SCAD, Carl is often called upon to judge international design competitions. As a writer he has contributed to the BMW ART Cars book on David Hockney and the upcoming book on Craig Elwood the California architect.